Shell said it sold Gazprom 27.5 percent of its shares, Mitsui sold 12.5 percent, and Mitsubishi 10 percent in the capital of Sakhalin Energy. Gazprom will pay cash for the purchase, Shell's CEO said. Previously, British-Dutch oil major Shell held a 55 percent stake in the operator, and Japan's Mitsui and Mitsubishi owned 25 percent and 20 percent, respectively. The deal valued Sakhalin 2 reserves at less than $4 a barrel of oil equivalent, a benchmark in valuing oil and gas deals, compared with an average of $4.90 a barrel at large Russian oil companies like Lukoil or Rosneft therefore 22% less than a fair market price. After the agreement, Putin said environmental concerns about the project had been essentially resolved. As Regulators had accused Shell of damaging the fragile environment on the island and had threatened to revoke key licenses, and agreed to approve a doubling in the project cost now that Gazprom is a partner. Shell Chief Executive Jeroen van der Veer said the company's first priority was to get Sakhalin-2 up and running. Gazprom also said that its first-half net income more than doubled from the same period last year to $12.23 billion, due to rising gas prices and the consolidation of its oil unit, Gazprom Neft. The company said revenue for the first six months of this year reached $41.5 billion, compared with $23.3 billion for the first half of 2005. Shell faced further problems in Nigeria where a third of its reserves are, as Shell evacuated expatriate staff dependants from the Niger Delta yesterday after militants planted a car bomb in a residential compound, the company said.The withdrawal began hours after armed militants stormed an oil facility operated by France's Total in the delta's Rivers state, killing three police officers. Shell's pullout involves about 400 foreign family members from residential compounds in Port Harcourt, Warri and Bonny Island. Staff will stay put and oil and gas production will not be affected, officials said. "We are not sure if this thing is going to deteriorate. 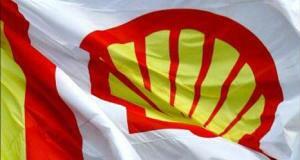 If it deteriorates we will have fewer people to contend with," a senior Shell executive said. Attacks on oil facilities and kidnappings of workers have become an almost a weekly occurrence in the world's eighth largest oil exporter. But Monday's car bomb attack in the car park of a Shell residential compound in the region's largest city Port Harcourt brought the violence closer to home.